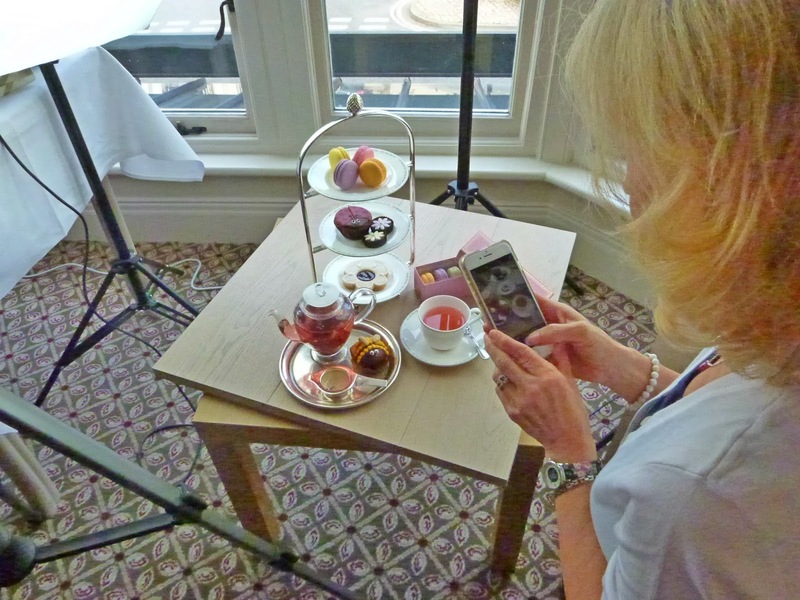 Tasting Tea and Eating Cake | We Blog North And Bettys Come Together For The Art Of Afternoon Tea Event | Lady Betty Afternoon Tea In Harrogate. 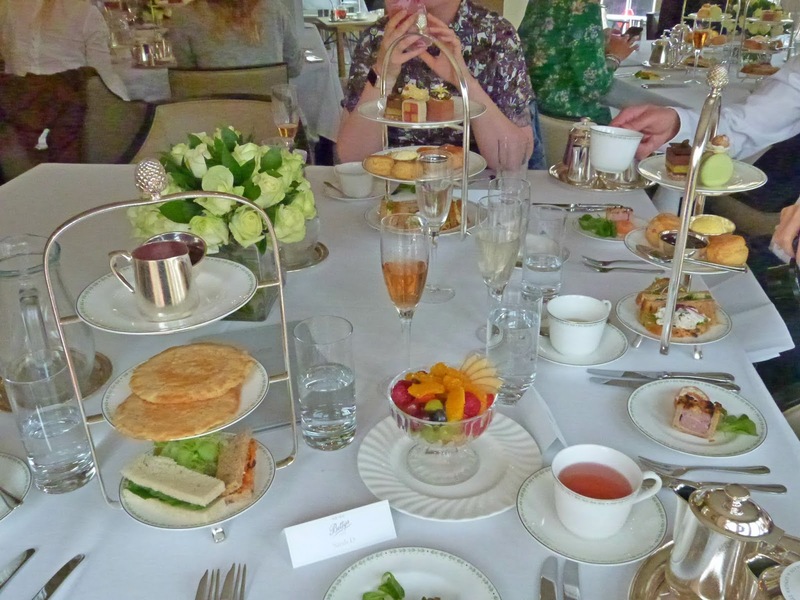 Snow may have delayed us in March but us Yorkshire folk are a patient lot, so one sunny afternoon in June a group of rather fabulous blogger types came together at Betty's in Harrogate to sample tea, learn about it's history and to enjoy a Lady Bettys Afternoon Tea. There was even a photo table set up with any number of props for the bloggers to get photographing with. 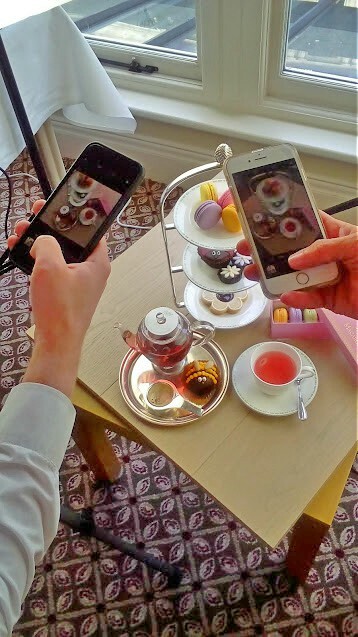 The perfect set up for what would be a quintessentially British afternoon. The staff greeted us with Champagne or Elderflower fizz and introduced themselves, Ruth, Rob, Lynne and tea expert Will Dixon were all so lovely and everyone mingled around chatting and getting to know each other. There were familiar faces as well as new ones, albeit slightly familiar from Instagram. We were soon gathered in and welcomed by both Ruth from Bettys and Holly from We Blog North, learning about what the day entailed and championing the talent which resides in the North. As Jules says, it's prim up north, aye, that it is Jules, that it is! 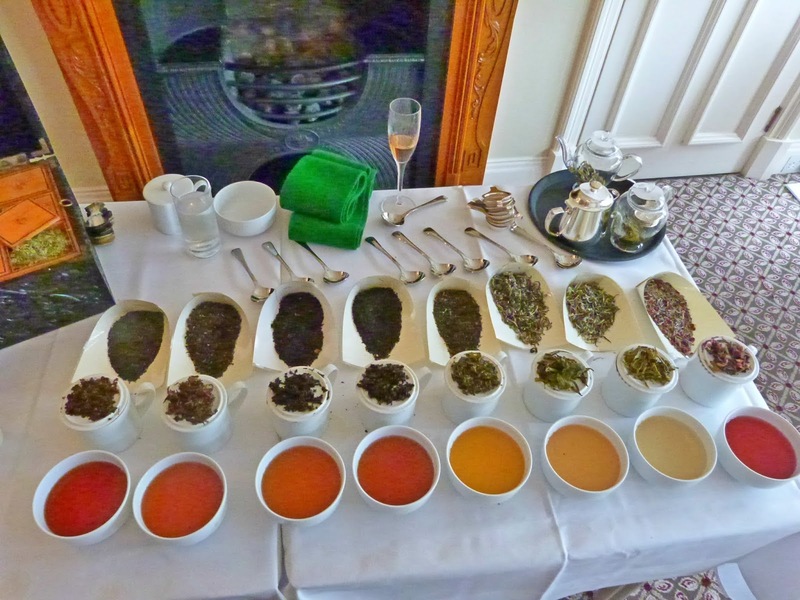 Soon enough the tea tasting began, we had 8 teas to taste in total ranging from the most popular Assam and Darjeeling, through to white teas, greens and ending with a lemongrass and ginger tisane. 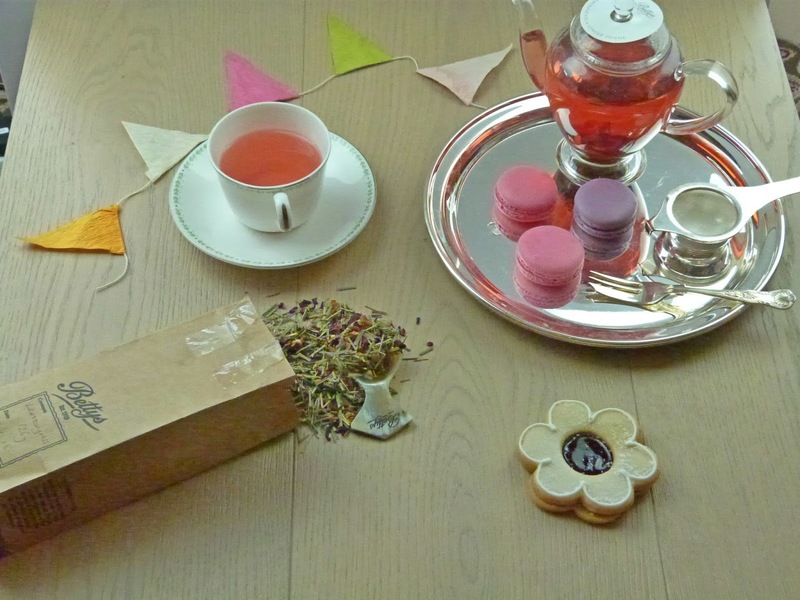 Did you know that 165 million cups of tea are drunk every single day? Pretty amazing! 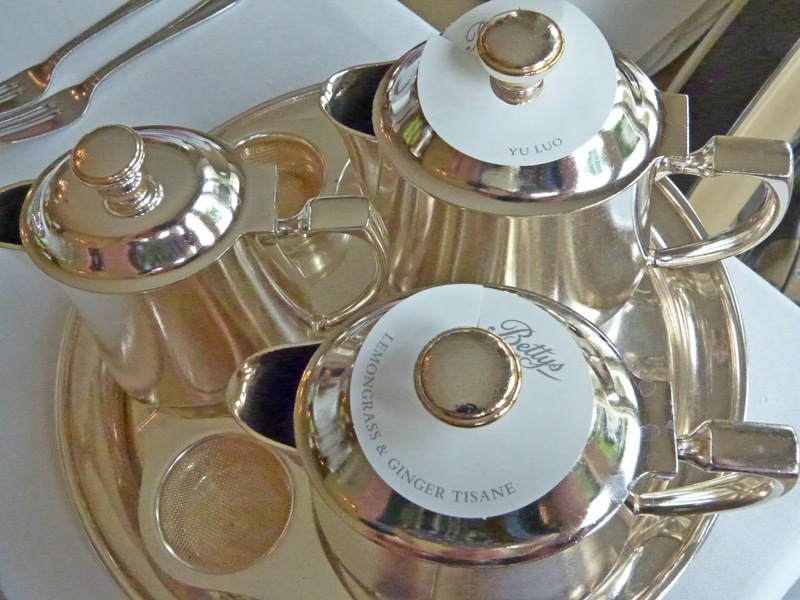 Only the top tea leaves are picked from the tea plants, meaning that the tea is guaranteed to the very freshest available; Bettys only ever deal with loose leaf teas and source all of their teas from the same growers meaning that quality is assured in each and every cup. There is an art of tasting tea properly, involving a spoon and a quick slurp to ensure it reaches all of the tastebuds - thereby getting the very best taste and all of the flavour. We were offered to try it this way, but we all declined, not wanting to spill anything on our lovely outfits! After tasting all 8 the choice was up to us as to which one we wanted to drink alongside the famed Lady Betty Afternoon Tea. I personally went for the Lemongrass and Ginger Tisane which was absolutely delicious and aided my digestion. 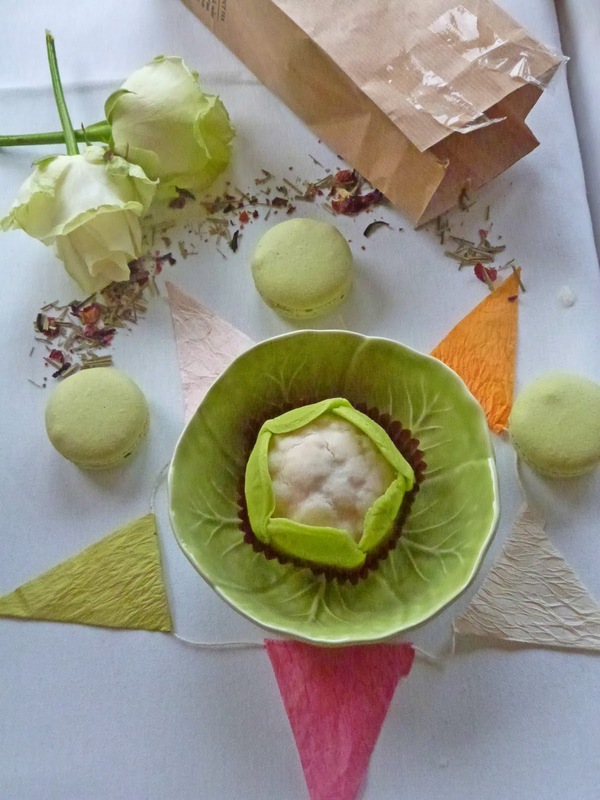 Being vegan I was unsure as to how I would be able to enjoy their afternoon tea but I needn't have worried as it was taken care of with the least fuss and I was pleasantly surprised by what the kitchen had prepared for me. 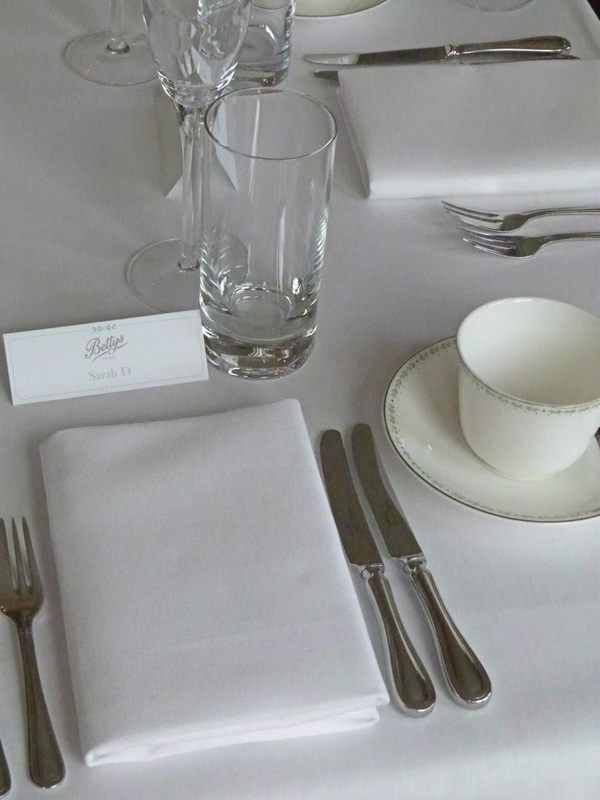 The tables were beautifully prepared, with name cards in each place and fresh flowers on the table the perfect setting for this wonderful afternoon. It was a pleasure to be in such company, meet new friends and chat about everything from blogging to tea and so much more. The food I had was so good honestly the Betty's team went above and beyond to cater for me which just makes my heart so full because sometimes being vegan (or vegetarian) can prove tricky and can mean that you miss out on all of the good things in life but this was not the case here. To start I had some chopped cucumber and avocado topped with tomato which was very lovely indeed and was very similar to what everyone else was having. 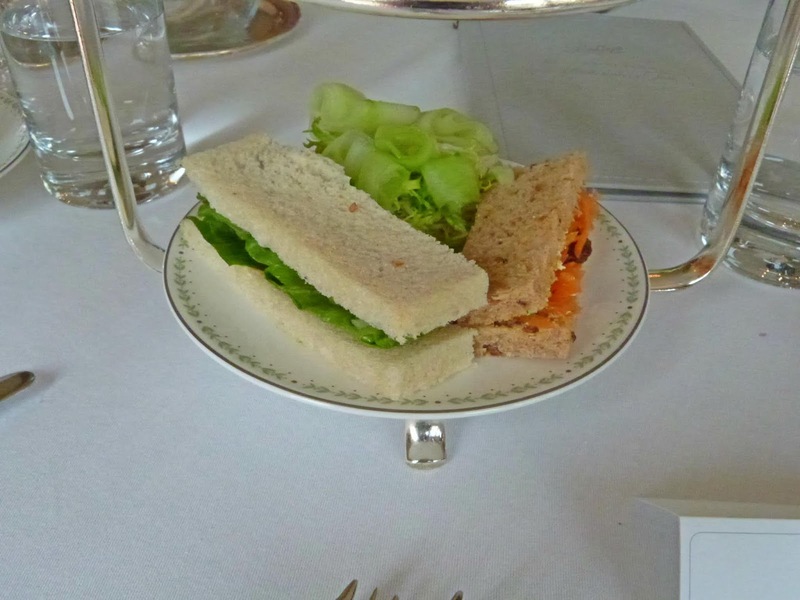 My afternoon tea consisted of three sandwiches - an open cucumber on brown bread, carrot with raisins and pumpkin seeds and a cucumber, avocado one with lettuce on white bread. Very delicious and yes I did eat another round of them! Well, they're not exactly filling are they?! I then had pikelets with strawberry jam and a rather lovely big bowl of fruit salad with a rather delicious strawberry coulis! Who said being vegan had to be boring!? 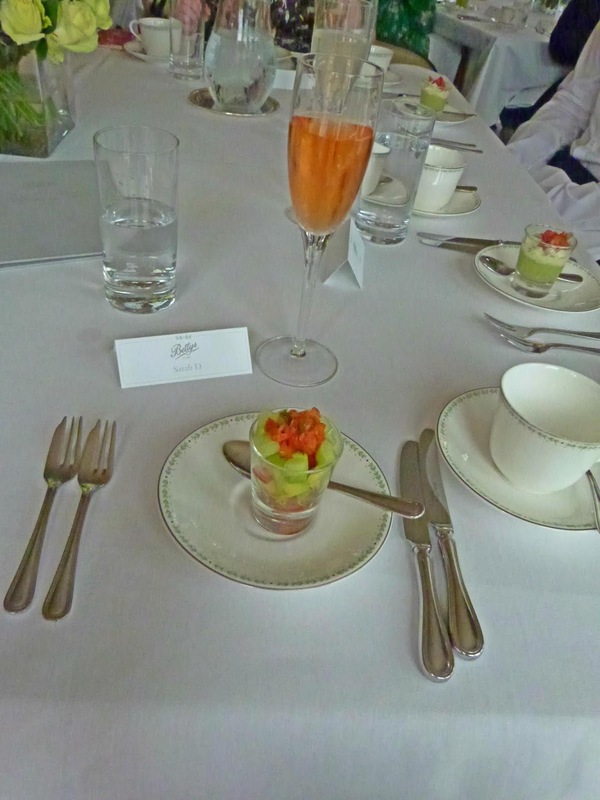 My tea went so well with everything and so did my glass of Champagne! Naughty I know as I was meant to be going teetotal during June.....my own decision during my Go Vegan month but I still felt pretty bad! It was rather tasty though! 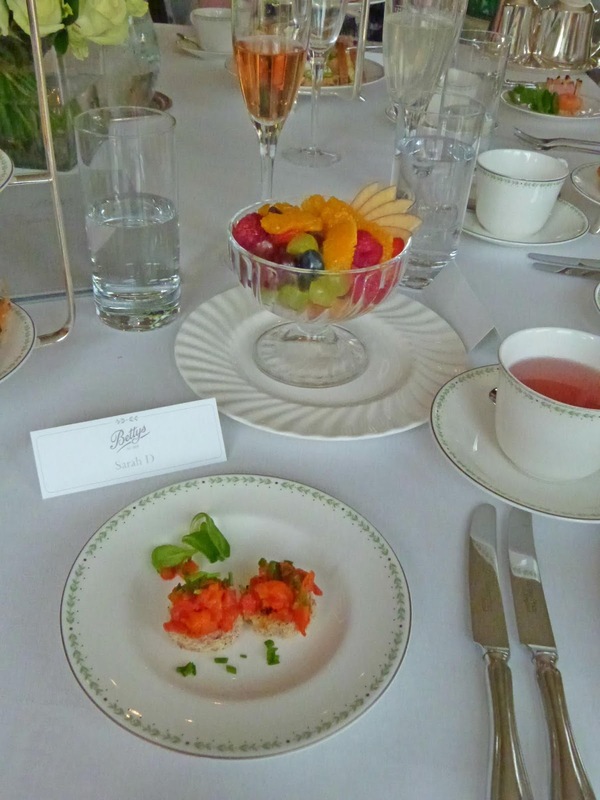 A definite perk to the Lady Betty Afternoon Tea. 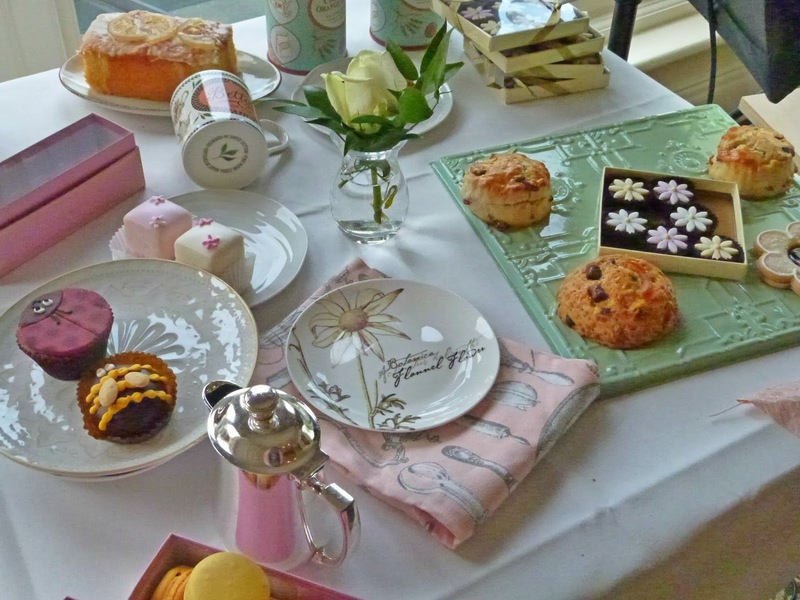 I have been lucky enough to have worked with Bettys previously as well as having had a Lady Betty Afternoon Tea for a family birthday, I always feel so honoured whenever I get asked to attend events run by this stalwart brand. They're such an institution here in the North, Bettys have cafes in York (2! ), North Allerton, Ilkley & of course Harrogate. 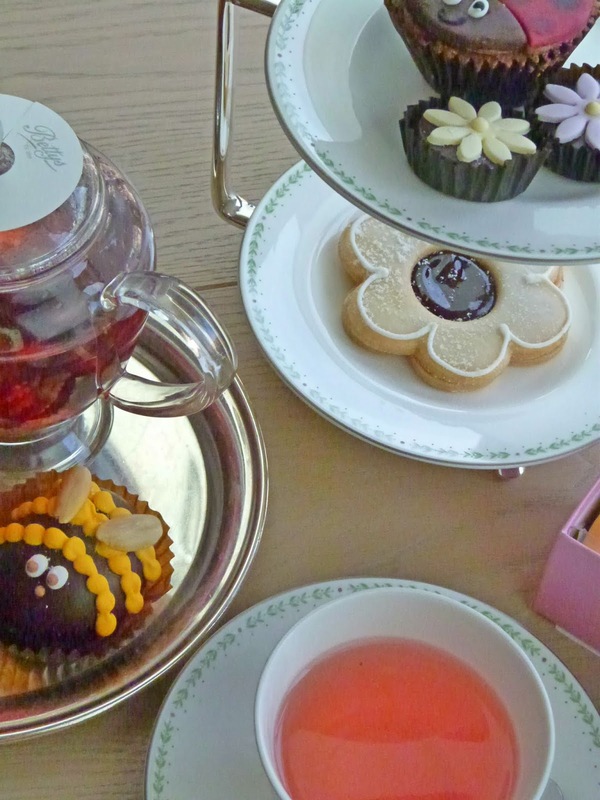 I know you can have afternoon tea everywhere these days, but there's nothing quite like taking in a Betty's Afternoon Tea, whether this be downstairs in the cafe or upstairs in their Imperial Room (Harrogate) for their Lady Betty one. It was really lovely to meet with like-minded individuals, sometimes it can feel like the only content creators that brands want to work with are those who live in London and it can feel like us Northerners get forgotten about but there is so much talent North of the Watford Gap! Seriously, I think because of this us Northern lads and lasses work harder to create content and get our work seen by the brands we want to work with. 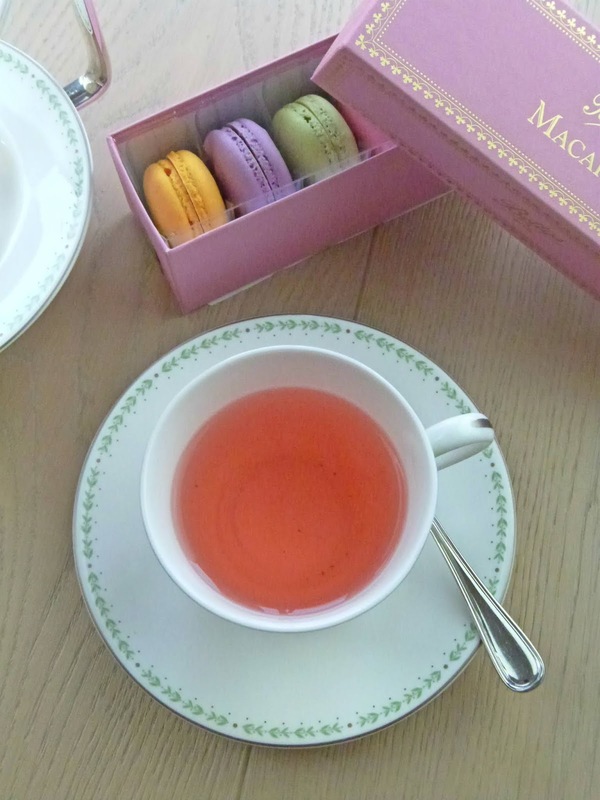 Plus, there are some awesome brands out there (like Bettys!) who understand how rich in talent the North is and actually choose to work with the influencers who live here, mainly because we have access to some of the best fat rascals around!! As you can see I had lots of fun trying my hand at flatlay or two, the props were, of course, only the very best - it always helps when they're beautiful to begin with! You may have seen that last photo on my Instagram (pop over and give it a like if you fancy it! Thanks!) as I just thought it was too good not to share! I think it captures everything about the day, being with friends, capturing some awesome photos and getting to enjoy some treats from Bettys. Thanks again to Holly, Kat, Ruth, Lynne, Rob and tea master extraordinaire Will Dixon for organising this day and putting on such a beautiful event. I really had one of the best afternoons I've had in a while, made new friends and reconnect with old ones. I am so happy to be a Northern Blogger when it means I get to hang out with friends all whilst eating yummy food from Bettys! 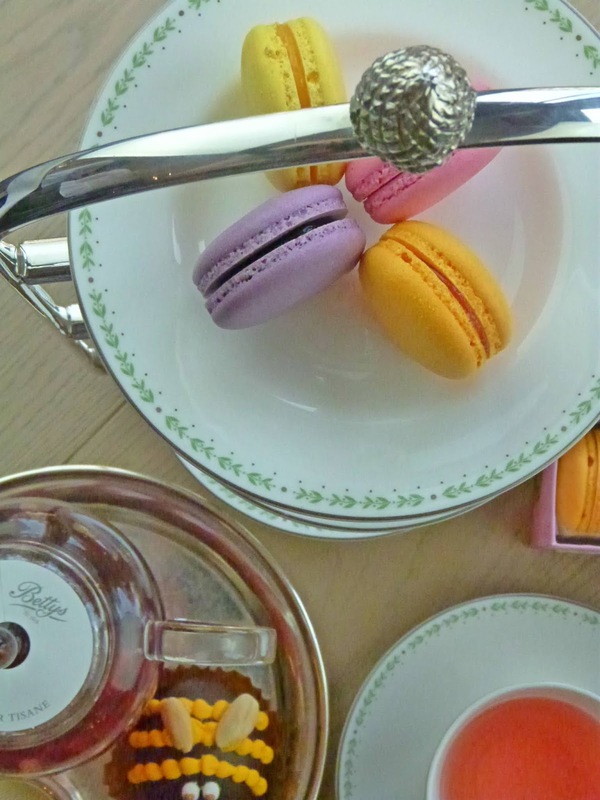 Have you ever been to a Bettys before? Which cake is your favourite? Labels: Food and Drink, Harrogate Lifestyle.